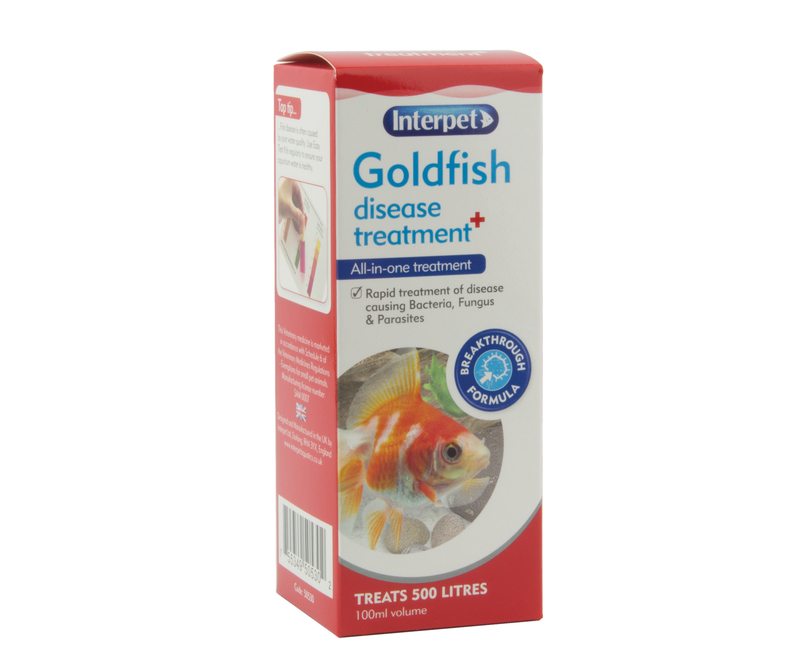 Use for: Supporting the immune system of your fish to minimise the effects of fish stress and when using medical treatments. 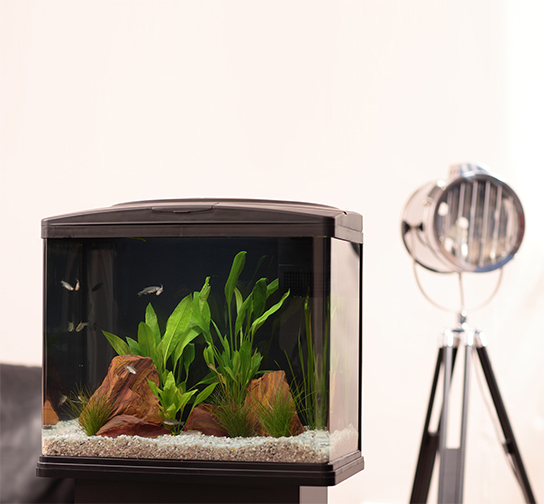 Dose salt directly into the aquarium, large quantities of salt may take a while to dissolve. 0.9% dosage should be added gradually over 3-4 days and only maintained for a maximum of 2 weeks (beyond 2 weeks damage to plants will occur). 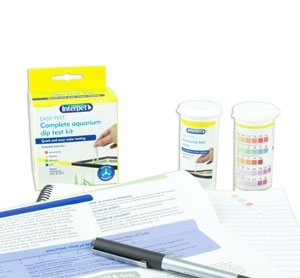 The concentation can be reduced by performing small water changes. 0.1% - 1g per litre: As a general tonic and mild pH buffer. 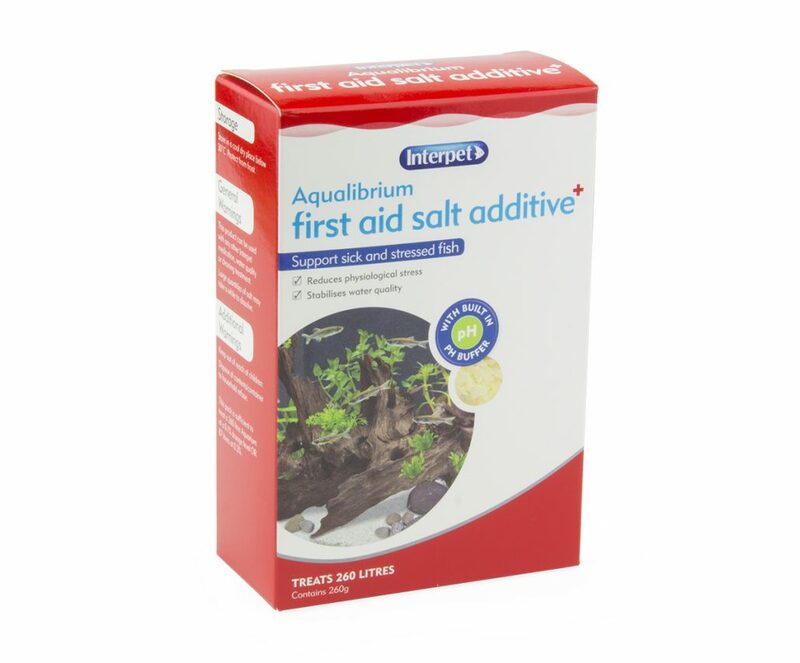 Maintaining 0.1% Aqualibirium constantly in the aquarium will help your fishes' immune system to cope with stress and combat disease. 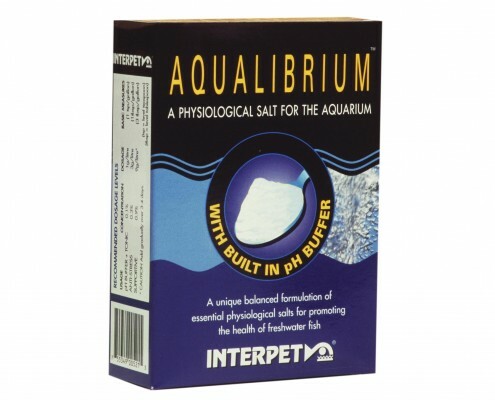 Aqualibrium at this level will also guard against potentially damaging swings in pH (excess alkalinity or acidity), by helping to keep the pH stable at an ideal level for most freshwater fish. 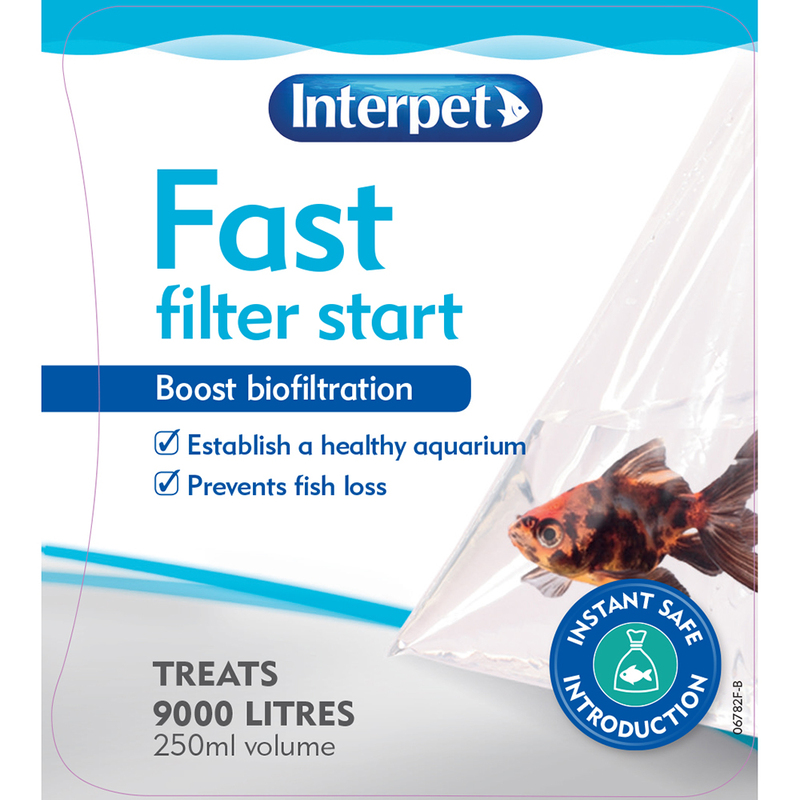 0.9% - 9g per litre: As a supportive measure when treating for disease. 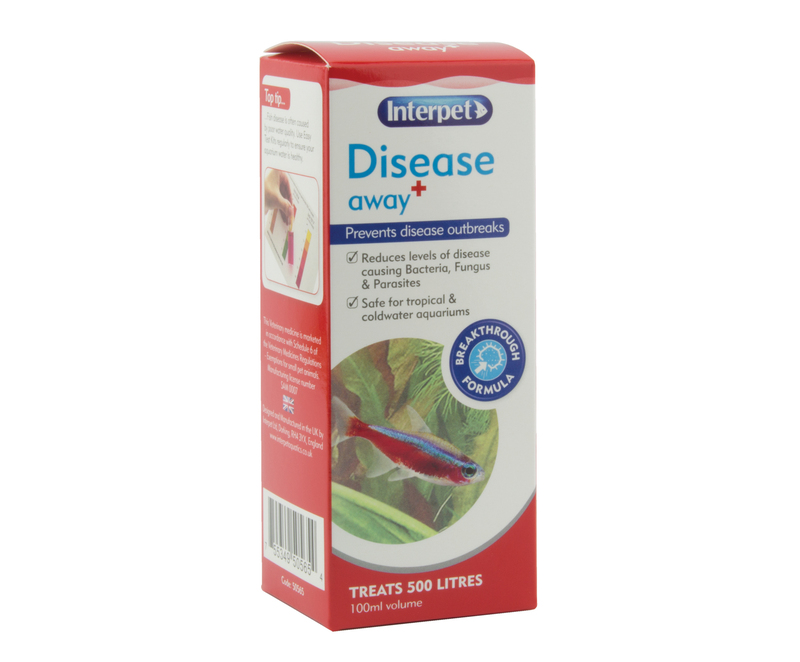 When treating certain disease, such as ulcers, dropsy, fungus etc. 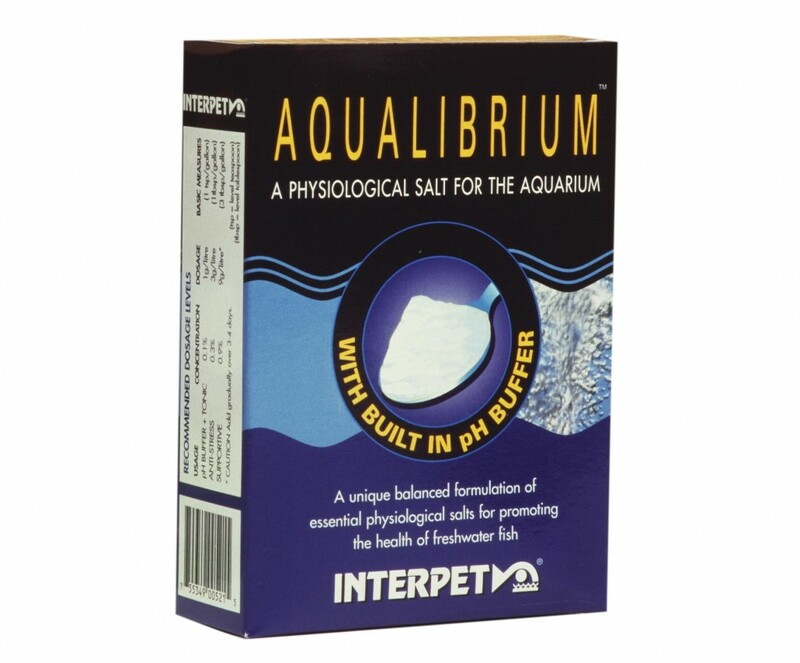 with fish medications it is recommended to support the treatment with a course of Aqualibrium Salt at 0.9% for the duration of the treatment. Once Aqualibrium First Aid Salt Additive has been added it will remain indefinitely, only being removed by water changes. 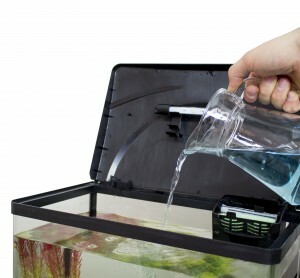 Any volume of replacement water must be treated at the original doseage to return the whole aquarium to the desired salt concentration. 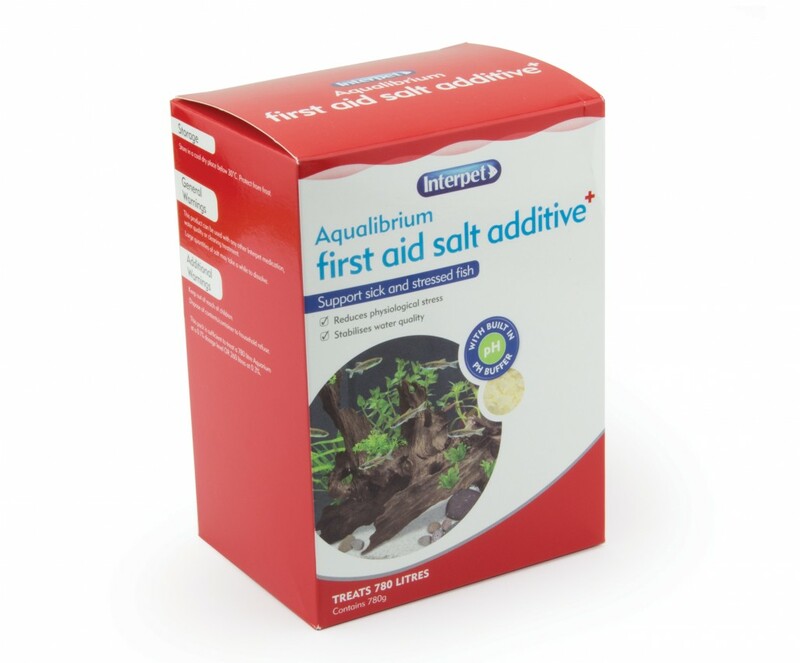 If at some stage Aqualibrium First Aid Salt Additive is used to combat another problem, remember to take account of the original dose when calculating the new dosage level. 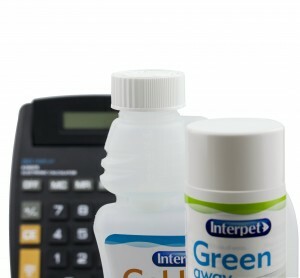 This product can be used with any other Interpet first aid, water quality or cleaning treatment. Large quantities of salt may take a while to dissolve.